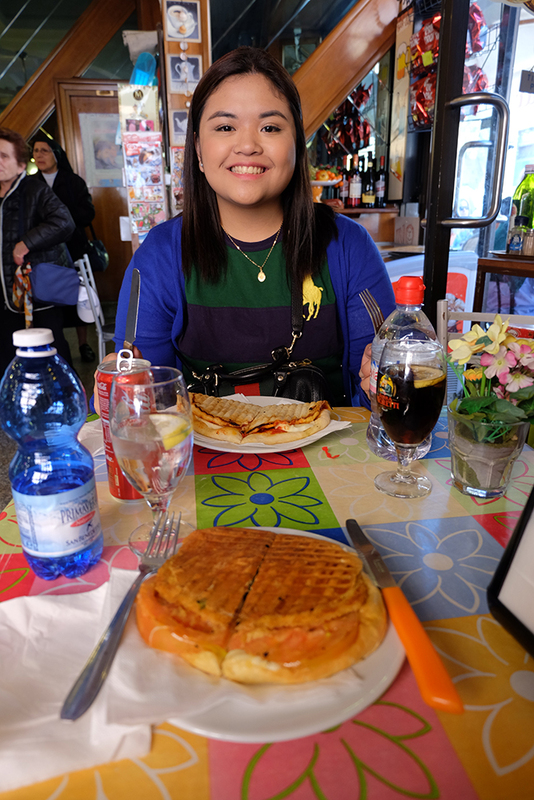 After our half day tour of the Vatican, we had free time for lunch. Another travel tip when going to Europe, bring euros instead of US dollars. We struggled to look for banks and other money changers but there were only a few nearby (others charge 5% commission). 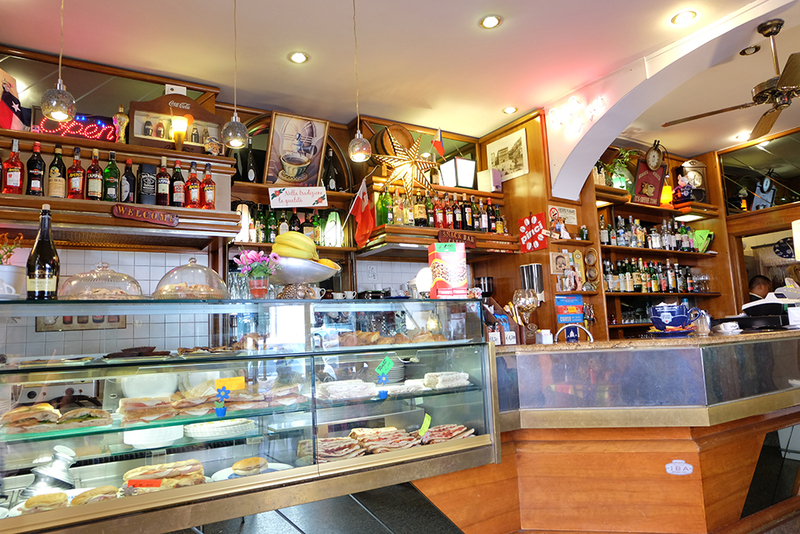 Some restaurants accept US dollars and credit cards for payment but most of them only accept cash. 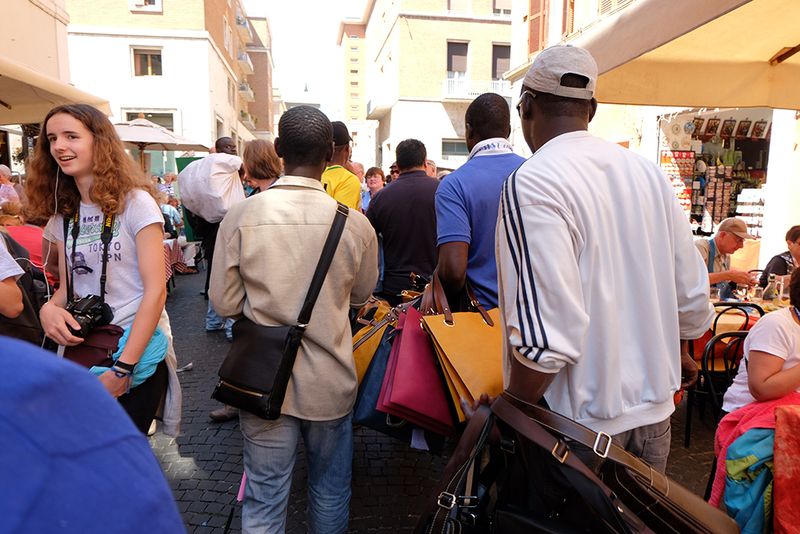 I don't want to judge or anything but just outside the Vatican I noticed there were hundreds of Africans (according to a reader they're from Sierra Leone, West Africa) selling fake designer handbags and selfie sticks. 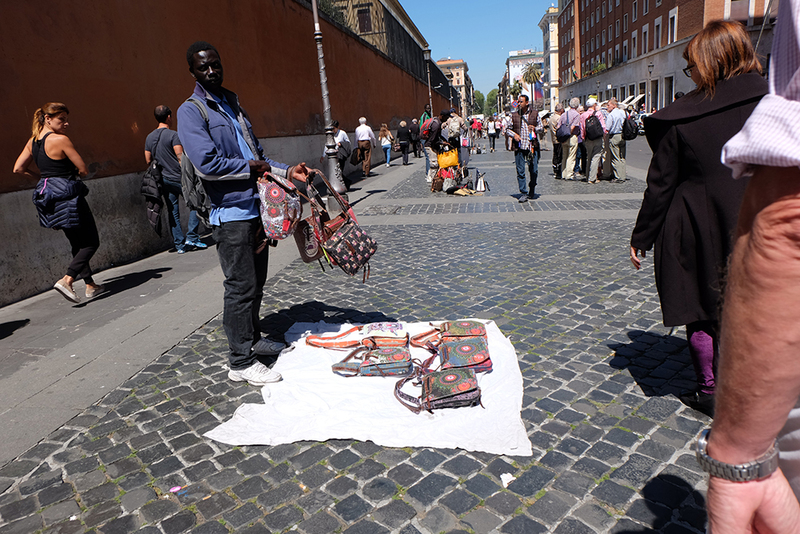 I bet they're not allowed to sell outside the Vatican. Anyway.. 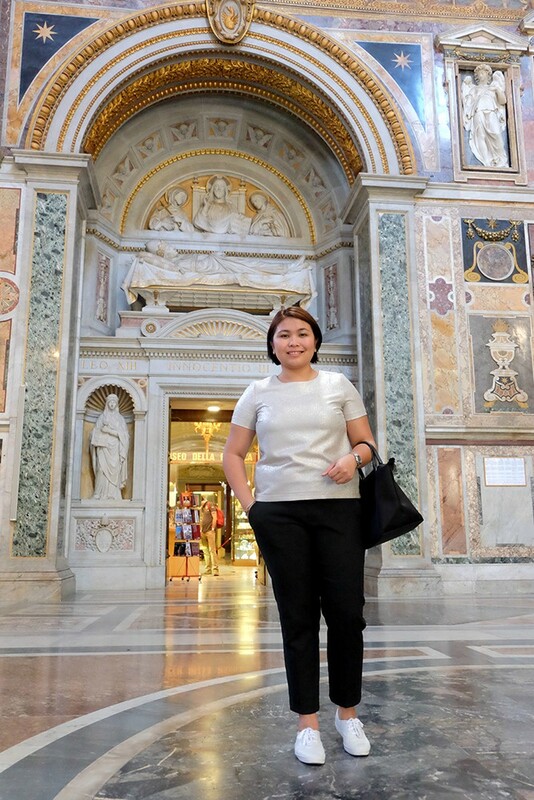 I remember our tour guide reminding us to take care of our belongings since pickpockets are everywhere in Italy, believe it or not even inside the Sistine Chapel. Kaloka. We had lunch at a nearby restaurant, Filipino kasi yung bar tender. :) A regular meal costs around €10-15 and comes with a drink. 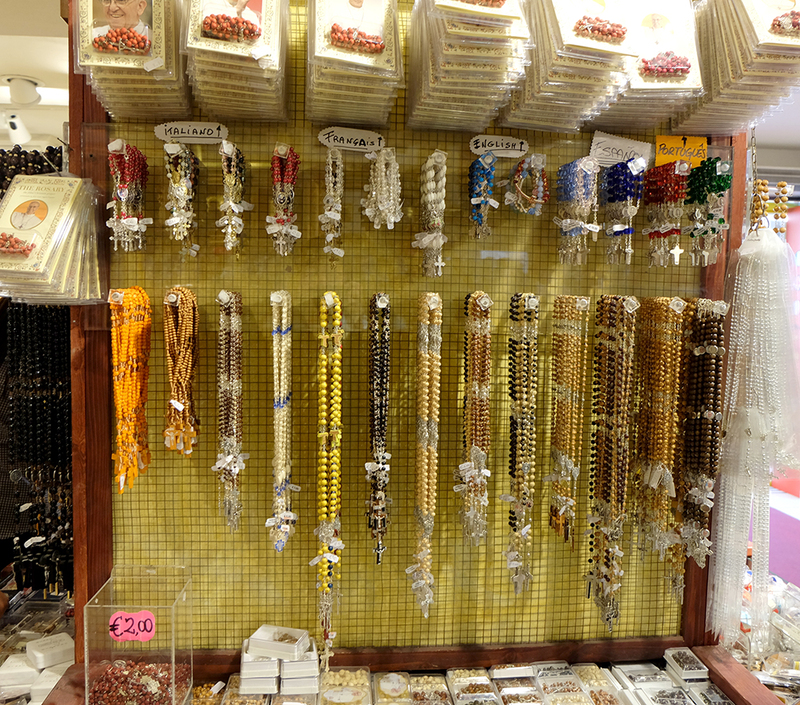 We also had time to buy souvenirs, I bought rosaries for me and my mom. Prices range from €2-100! 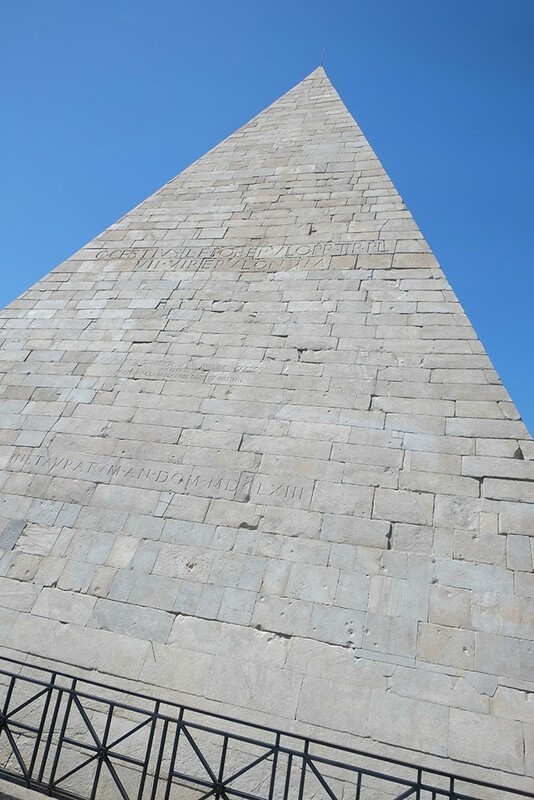 Before arriving at our next destination we passed by Piramide di Caio Cestio or Piramide Cestia (in English, the Pyramid of Cestius), it is an ancient pyramid in Rome. The Pyramid of Cestius was founded by Gaius Cestius Epulo; a rich magistrate to serve as their family grave. 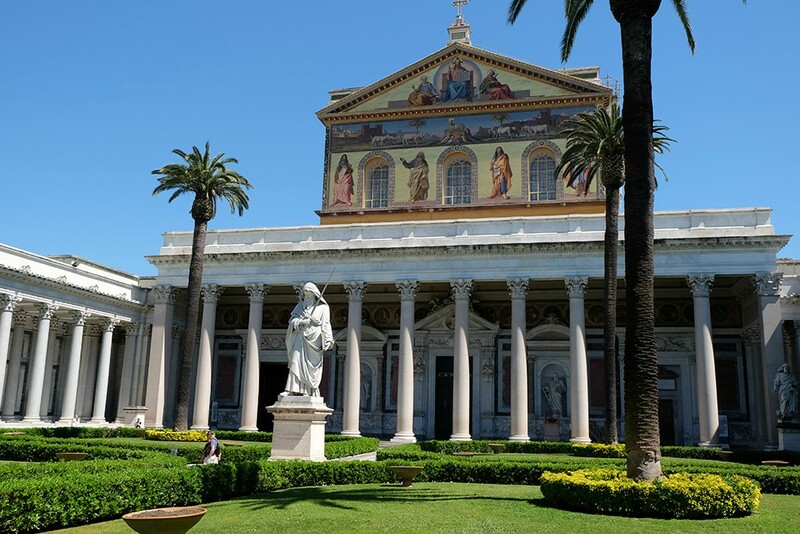 Outside the Walls (of the Vatican City) you'll find the Abbazia di San Paolo Fuori Le Mura or The Papal Basilica of St. Paul (which btw isn't part of our original itinerary). 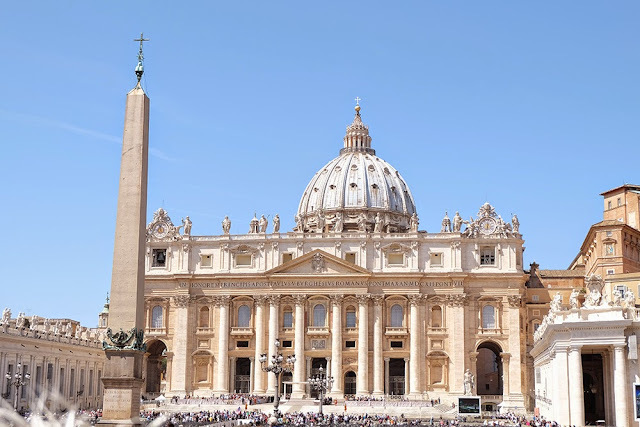 This church is off the beaten path but still a tourist destination because it is one of the 4 major basilicas in Rome. The interior of the church is impressively attractive. See those circles right above the cloisters? 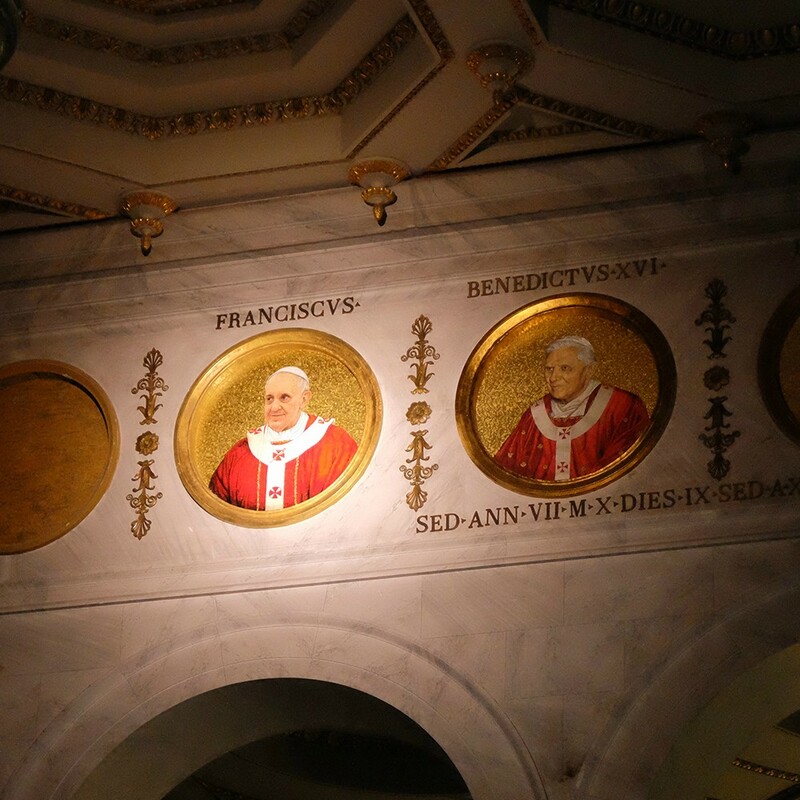 These are portraits of all the Pope. Of course I had to take a photo of the portrait of Pope Francis. 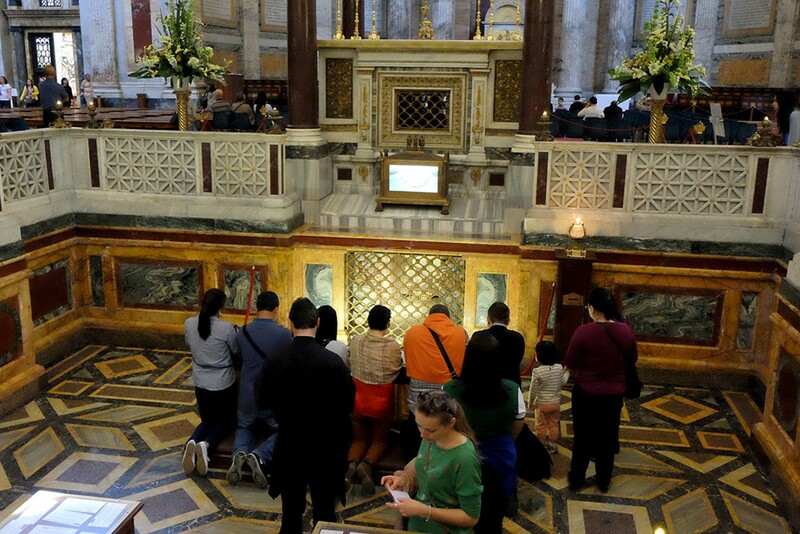 Beneath the tabernacle, you'll find the tomb of St. Paul. 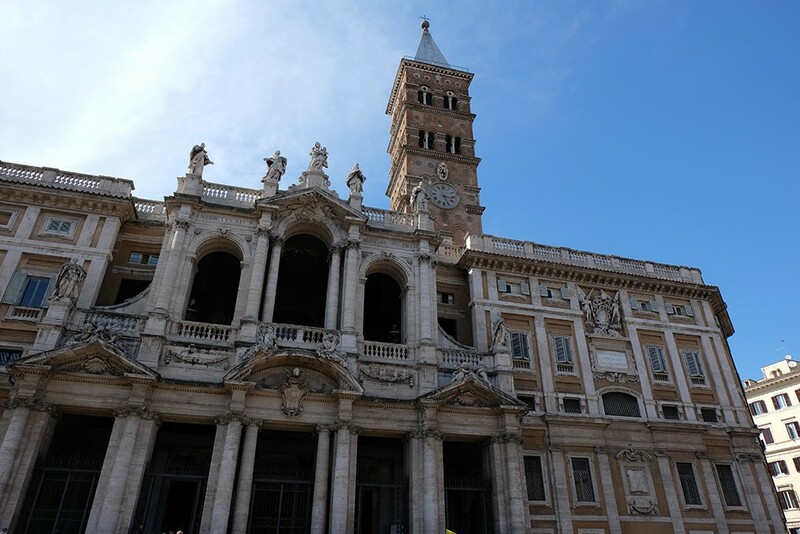 Next stop is the Basilica di Santa Maria Maggiore (Basilica of St. Mary Major). It is one of the many beautiful churches in Rome that is dedicated to the Virgin Mary. 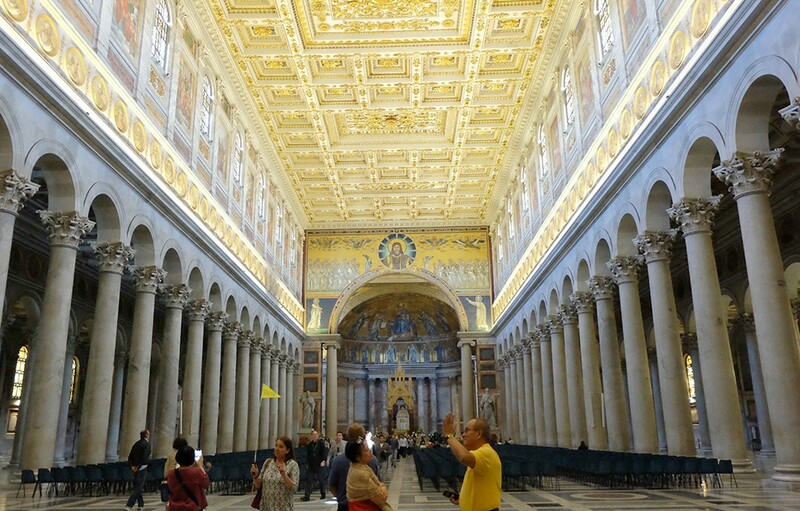 The interior of the church was once again beautiful as expected. The details are exquisite! 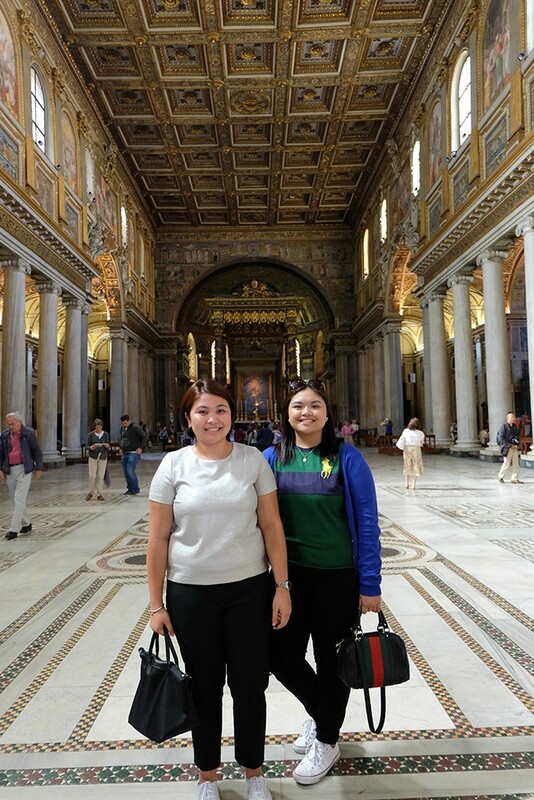 Off Topic: Not that I don't like visiting churches but by this time around, my sister and I were sort of bored to death. 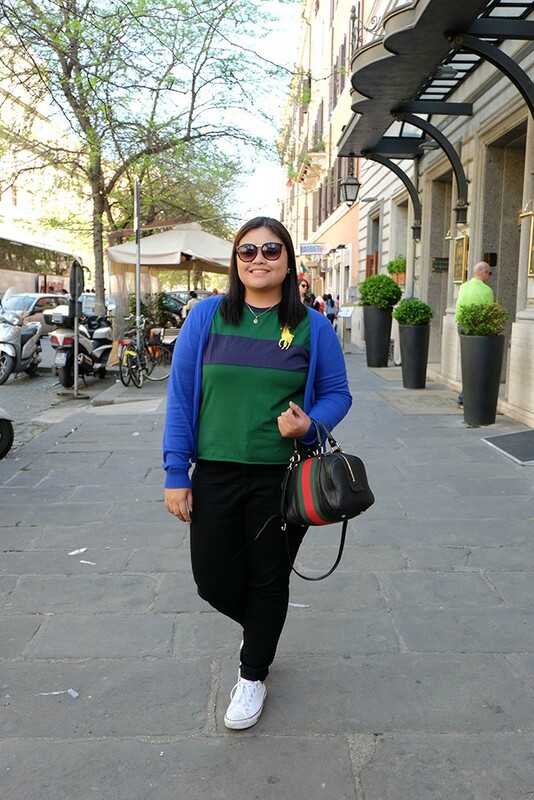 So here we are sharing our OOTDs. Hehehe. 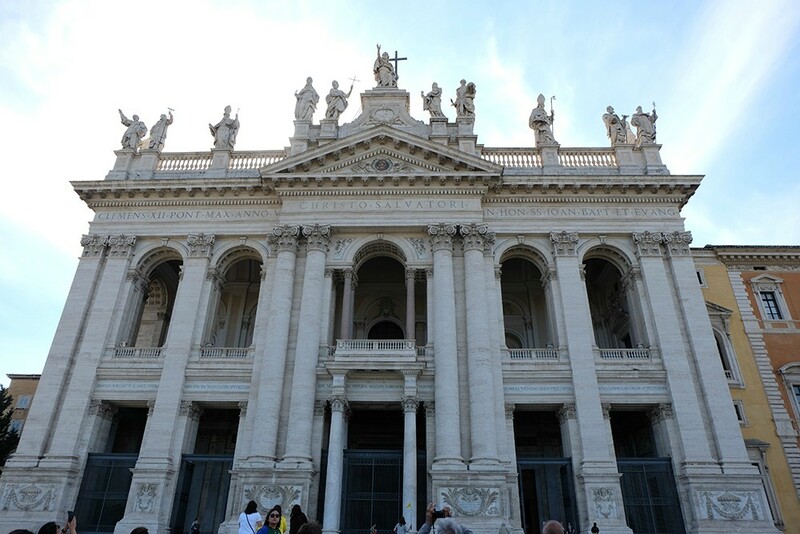 Our last church for the day is Basilica di San Giovanni in Laterano (Basilica of St. John Lateran). 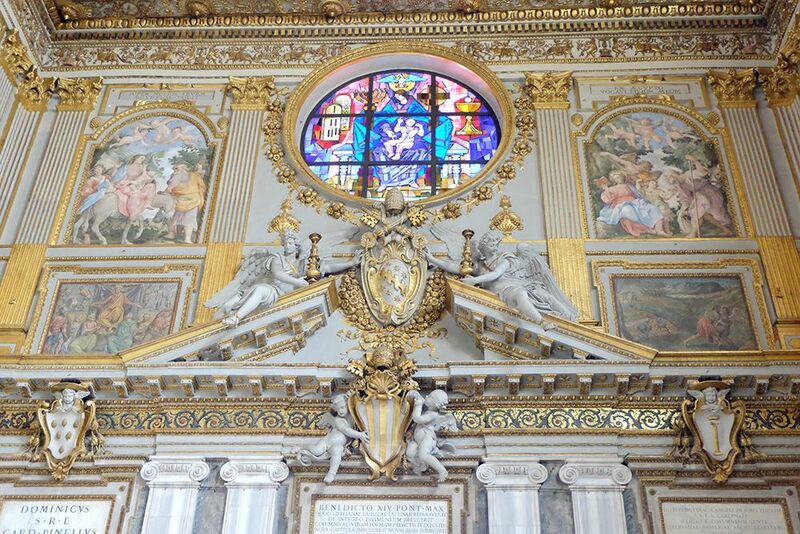 The church has a wonderful Baroque interior with artifacts from early centuries BC. 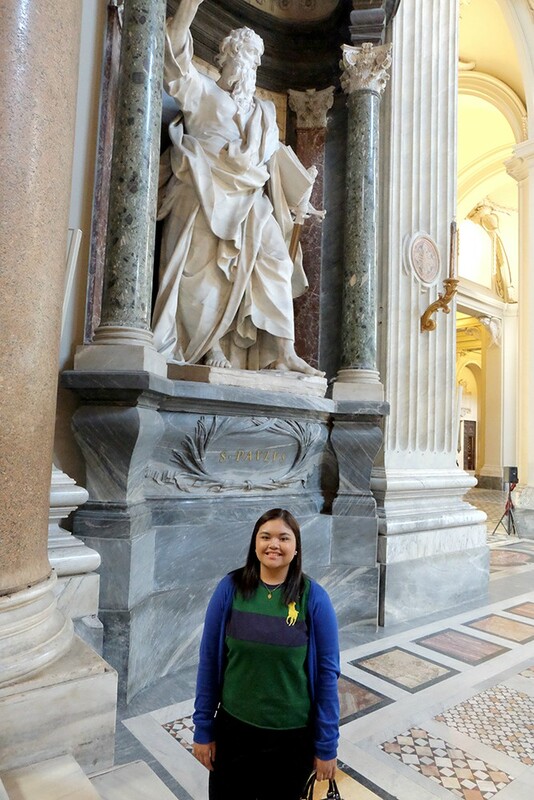 The statues of the apostles were extraordinary. Last stop of our guided tour is the Colosseum. Built in 70 A.D., Rome's Coloseum has been the site of celebrations, sporting events and bloodshed. By the 20th century, a combination of weather, natural disasters, neglect and vandalism had destroyed nearly two-thirds of the original Colosseum, including all of the arena’s marble seats and its decorative elements. 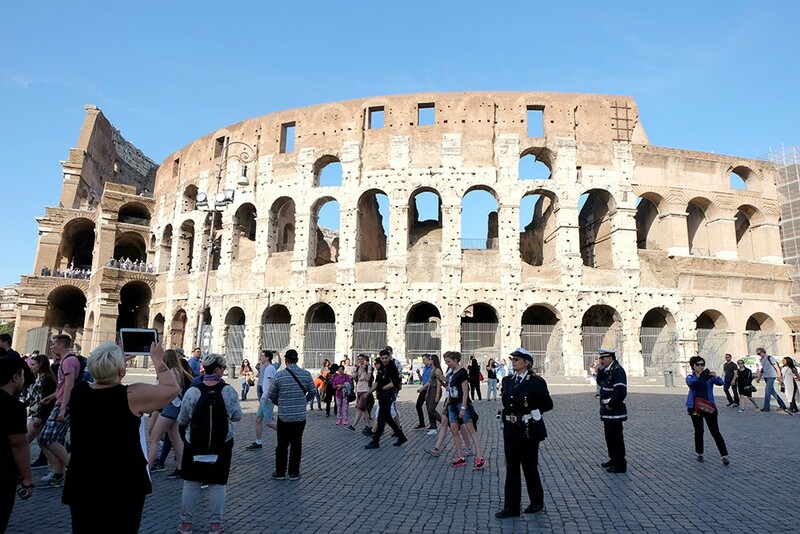 Restoration efforts began in the 90s, and have proceeded over the years, as the Colosseum continues to be a leading attraction for tourists from all over the world. 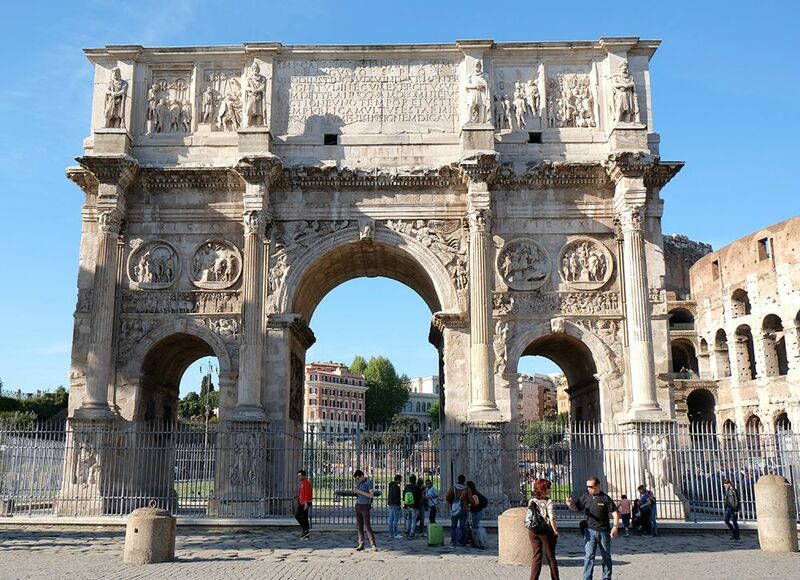 Few meters away from the Colisseum is the Arch of Constantine, erected in the early fourth century to celebrate the victory of Constantine over Emperor Maxentius. 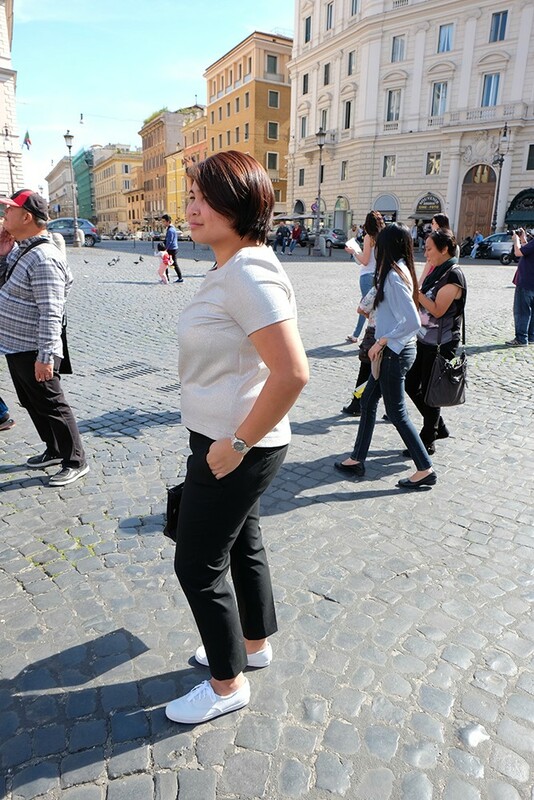 Sadly we missed other highlights of the tour including the Trevi Fountain and the Spanish Steps. We weren't exactly sure if it's true but our guide said that the fountain was undergoing major restoration and clean-up. Moving on, the tour was ok, had to pay the mandatory tourist guide tip that cost €1.50/pax . It was tiring both physically and mentally (info overload!) but still thankful for the experience. That was a racist comment about the Africans. They are refugees from Africa, mostly from Sierra Leone. What's racist about using the term black? At least I didn't use the N word. Anyway, thanks for the info that they're Africans. Will edit post in a while.